Join us for this year’s BBQ lunch! 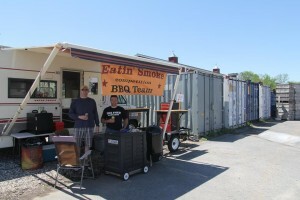 Our yearly smoke-off competition features a Mann Made BBQ lunch, and it is Mann-sized! 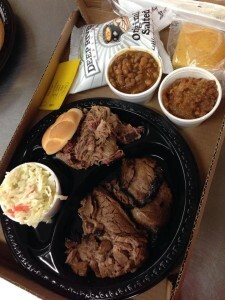 With your choice of two different types of smoked meats. 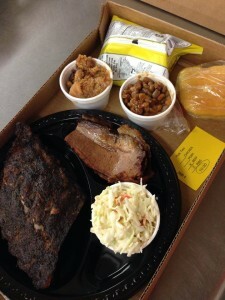 The meal comes with two sides, bottled water and a dessert… this is some serious eats!! Enjoy lunch in our café or outside on one of our picnic tables with musical entertainment both days. 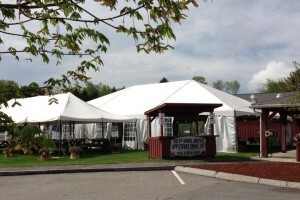 For complete information about the event, visit our Barn Brew BBQ website. The B Street Bombers will be performing on Saturday the 28th and Sunday the 29th at 1pm!! 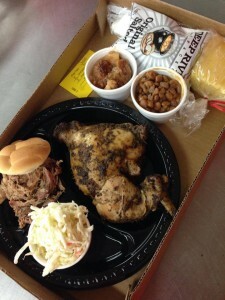 Huge BBQ Lunch Served 11am-4pm Saturday and Sunday!